What are you doing with your family this Family Day Wknd.? 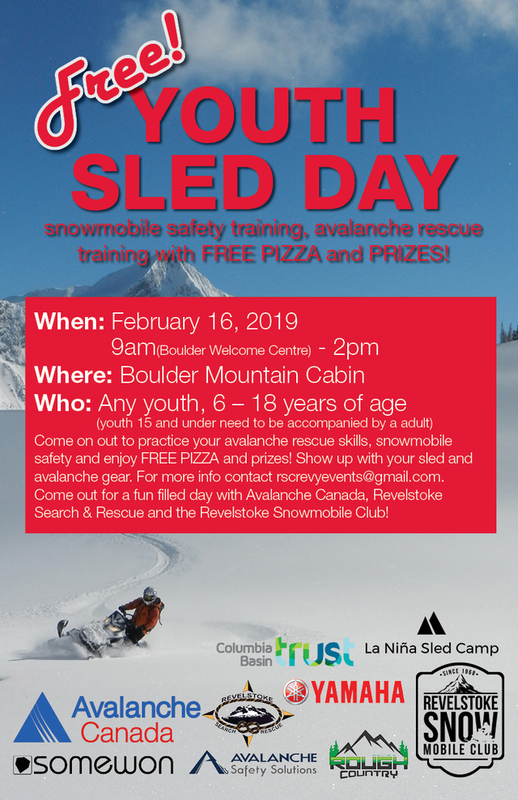 Well if your family snowmobiles together the Revelstoke Snowmobile Club is hosting Youth Day Sat. Feb. 16. You don`t have to be a member to participate. Just send us an email to rscrevyevents@gmail.com to tell us how many adults and youth will be attending. It`s a short day learning safety for snowmobiling in the backcountry with Avalanche Canada, Revelstoke Search and Rescue and the RSC. Handouts and prizes for participants and we are even serving lunch. Nadine Overwater is offering a youth clinic the following day with a discount for youth that participate in the youth day event, find more details in the link below. Big thanks to our sponsors for their continued support, this is our 5th year for this event.